I was probably precocious as a child (or so my parents insist), and I certainly know that my love of reading was matched only by my love of reenacting my favorite Star Trek scenes with Legos. I was a solitary child. I would devour any literature I could get my hands on, although my preference was for sci-fi. I had an uncle with an enormous library, and he introduced me to the wondrous worlds of Frank Herbert, Ursula K. Le Guin, and Ray Bradbury, amongst others (my mother shared his love of their tomes). But it soon became clear to me that the stories I read were lacking in something. As incredible and spellbinding as these books were, they were only passive; I was being told what to think, what to imagine, and what to do. 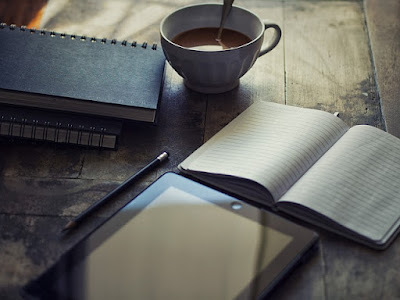 So as rapidly as I read, I began to write. My first efforts were fan fiction, new stories set in pre-made universes, journeys that I always wanted the characters to go on, but never quite seemed to. Of course, writing the stories was, to begin with, compelling and satisfying, and sated my hunger for new adventures. But I soon discovered that I also needed validation - I needed someone to enjoy them as much as I did. I suspect this need for validation is at the heart of many authors, both past and present. The problem with fan fiction is that, generally, people don’t want to read it. Oh, those close to you - your friends and family - will gush over how glorious it is, but really they just want to appease you and get back to whatever really drives them - usually consuming the same fiction you wrote, but from a ‘real’ author. They want the real deal. I learned this in my parallel life as a composer. Starting with pastiche classical music (the fan fiction of the musical world), when I got to college I soon realized that there was no place in the world for more Beethoven, Mozart or Tchaikovsky; people wanted something new, something fresh. And so I taught myself to analyze. I broke down my favorite music and taught myself the ‘why’ of it - why I enjoyed it, why it was good. And I incorporated what I learned into my own work. Now a funny thing happened when I grew up, went to college, and made a life for myself. Alongside a lifelong crippling depression that developed in my early teens, the spark of creativity, the flame of invention, began to go out. I left college and stopped writing music. I stopped writing stories. I became a consumer of media rather than a creator … and then I became nothing. Then, in 2001, something happened that happens sometimes only once in a lifetime. A relatively unknown film director from New Zealand created perhaps the biggest fan fiction adaptation of all time. Peter Jackson took one of the most beloved and sacred fantasy stories ever to be written and turned it into one of the most enduring, transformational and phenomenal cinematic masterpieces ever to grace the silver screen. I speak, of course, of The Lord of the Rings. Looking back (almost twenty years! ), something was reawakened in me as I watched Frodo, Sam, Gandalf and the rest of the Fellowship trek for miles upon miles to save their world. A hint of an idea that if the imagination of Tolkien could be brought to life by another person, then surely I could achieve the same. Not the fame or widespread adoration, perhaps, but the story itself. I could write. It took another ten years for this to come to life, and it started with my son. As I introduced him to the same wonders that I remembered from my own youth, he began to come up with fantastical worlds and creatures himself. And in seeing his own imagination thrive, much as mine once had, I knew what I had to do. You see, writing fan fiction is all well and good if your goal is to create something new in the safety of someone else’s imagination. But it will fade and wither if you don’t have a purpose behind it. And in my son, I discovered my purpose. I knew that I needed to teach him about darkness, despair, and depression because he grew up with a father who suffered it daily. Yet at the tender age of seven, I needed a softer way to bring it to his attention. I needed something he could engage with, something to fire his imagination - and at the same time, teach him. I needed an allegory. 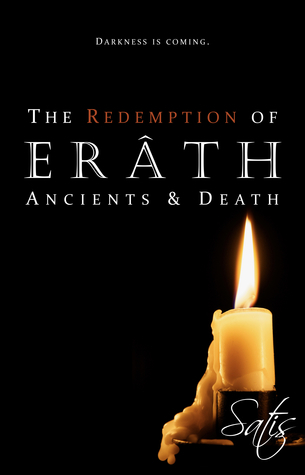 And so was born The Redemption of Erâth. A tale of a young boy growing up in a world overrun by darkness and despair, its purpose was none other than to teach my son about those same things. And as I wrote it, it occurred to me that what I was trying to teach my son, I could perhaps teach others, as well. I rediscovered my need for validation, only this time it wasn’t praise I was looking for; it was the knowledge that I could, through writing, actually help other people. I could change lives. The third book in the series, Ancients & Death, is being released next month (you can preorder it on Amazon now if you like). My son is now a teenager, and of course, the allegory of a dark and depressed world is no longer necessary; books like my young adult novel 22 Scars can tackle the subject much more directly now. But the world of Erâth continues to call, and I answer. Not because I have to write, nor even because I want to. No; I write because I know my purpose. I write because I know that, through my writing, I can help people who are suffering in their own lives, much as I suffer in mine. And through that connection, I am validated.